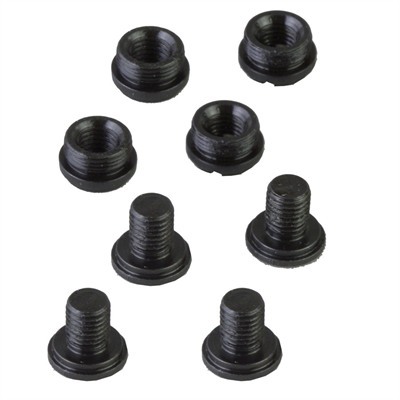 Replacement package of four, short socket-head screws and bushings for use with Slim Grips. Hex head looks great and prevents ragged looking screws. Mfg: Brownells SPECS: Steel, blued or electroless nickel plated (NP) to match stainless steel. Screws: .150"-50 tpi. Bushings: .236"-60 tpi.